Security There are 3 products. 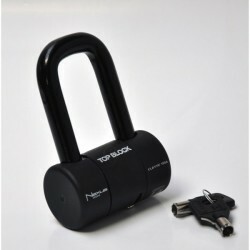 Premium disc lock of French manufacturing by Top Block. With its small footprint, it fits easily under a saddle. Comes with two keys and a storage bag. The top of the made in France! Honda U-lock, size 95x195mm, storage under the seat of your CB650F / CBR650F. 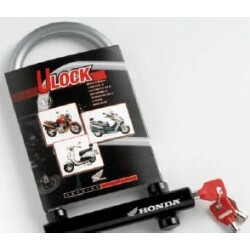 Honda approved theft protection for your motorcycle. 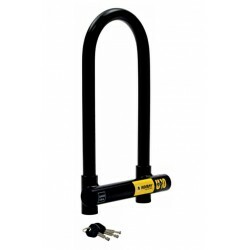 Auvray U-Lock for CB650F, all years. Created by the same manufacturer as Honda's same model. Possibility to store it in the motorcycle trunk. Dimensions : 95 x 194.